Here is a bonus craft that I wanted to share before New Year's Eve - Sparkly Mittens! This is for you ladies who plan to wear some glitz on your fancy night out - maybe to the movies, or a party or a street festival. 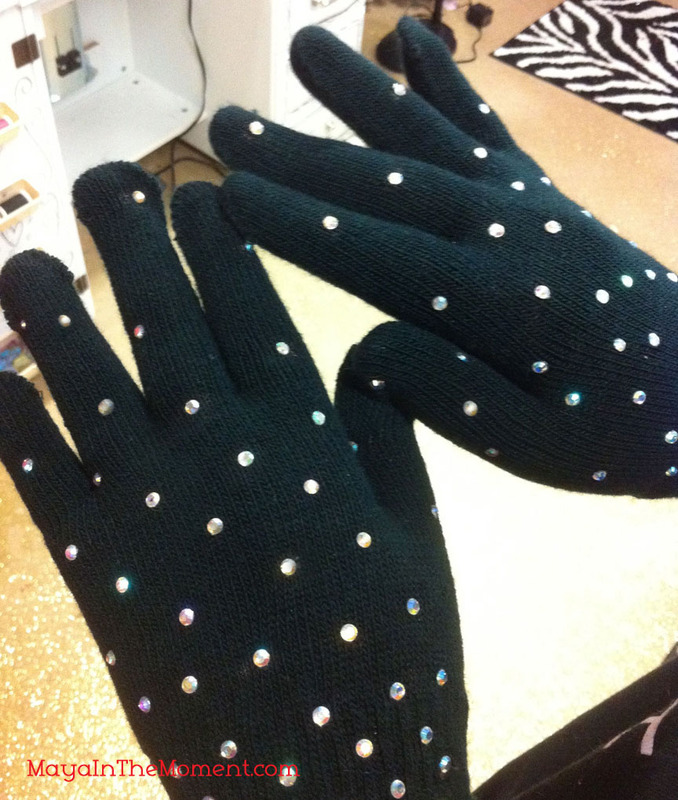 Why not glam up your gloves too? It's super easy! You'll also need something to slip your gloves over while you add the crystals - like a soup can. This is so that the crystals won't come off when you stretch the gloves to insert your hands. 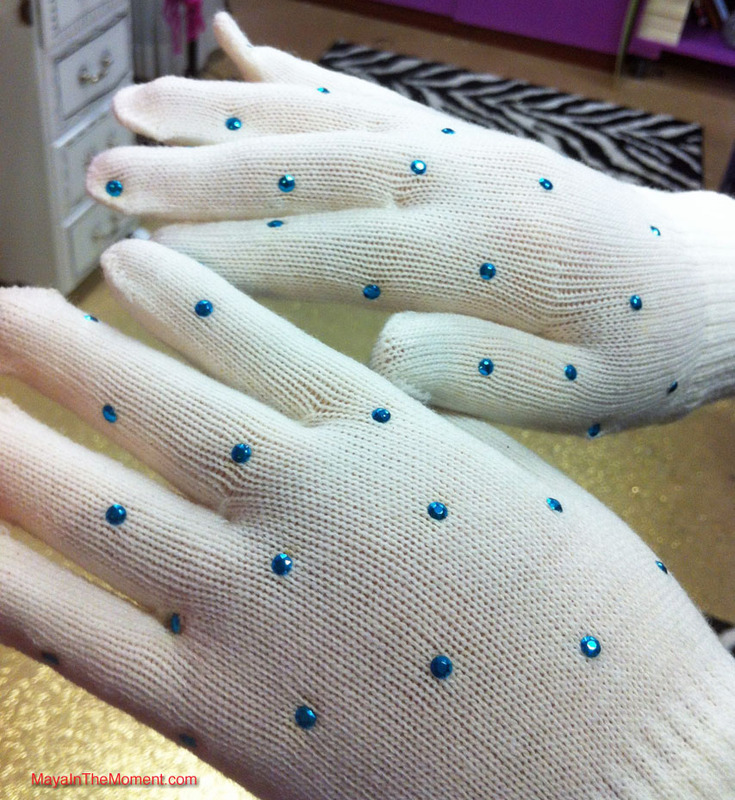 You want to glue the crystals on while the gloves are stretched. You'll want to pick up the crystals one-by-one with the tweezers, set in place and then use the heat tool to apply them. 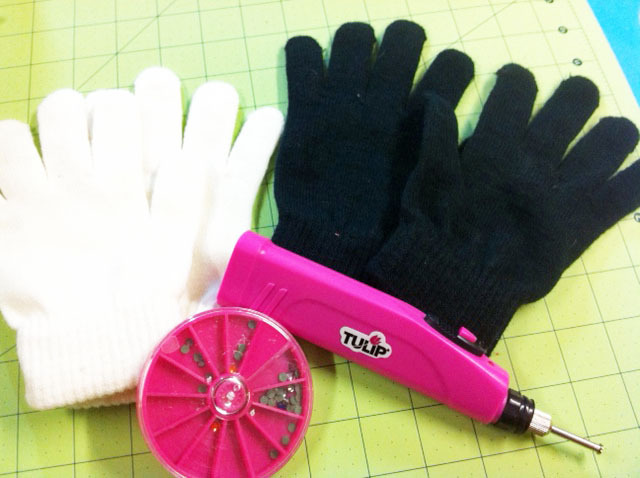 For the white gloves I used Tulip® Glam-It-Up!™ Iron-On Studs! Like what you see, come visit me on my blog - MayaintheMoment.com. You can also like me on Facebook or subscribe to my videos on YouTube!